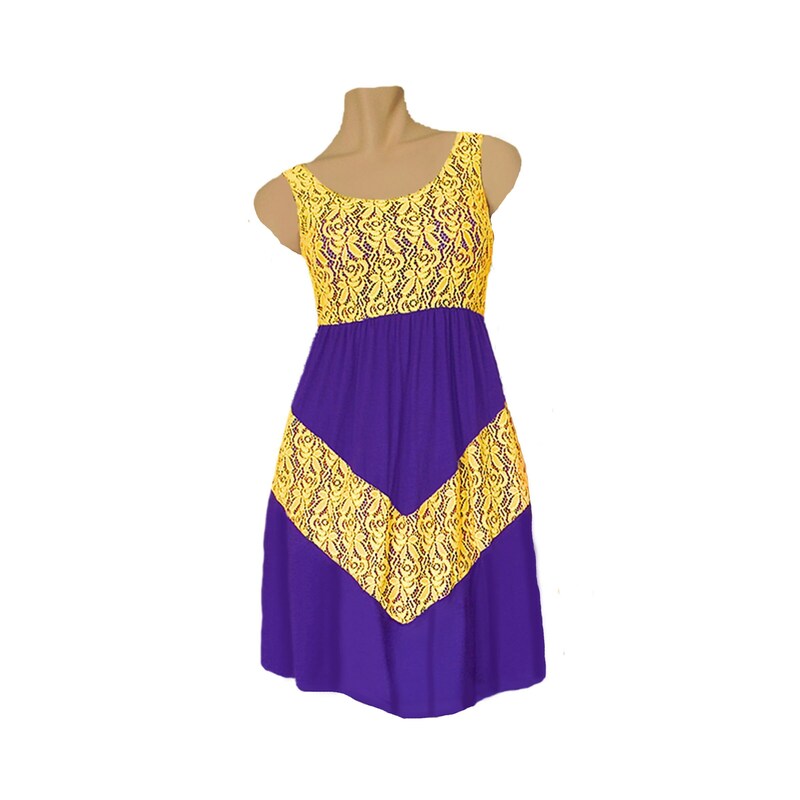 Pretty and sporty, the purple and bright gold lace chevron dress features a lace bodice and chevron overlay. Lightweight knit blend. One left: Small (4-6). On Sale! $30 (Reg. $44.99).